we prepare all our clients for online trends ensuring their website generate real world conversions. and web page optimisation to companies worldwide, seamlessly across all devices and technologies. We know that both beautiful visual web page designs and seasoned technical depth across an entire website, generate brilliant results. As mobile devices move to dominate that all important ‘first visit’ it is essential to design web pages and build websites that meet this market demand. At AndMine, we optimise desktop and mobile versioning to render across all devices and all screen sizes; be it an iPhone, Desktop, Laptop, Android Phone or iPad, we have the skill-set to deliver your company website integrating the best possible digital technologies. and design for both big as well as small companies. AndMine ensures your company gets a superb looking web presence with beautiful design work, smart SEO (Search Engine Optimisation) and sensible functionality. 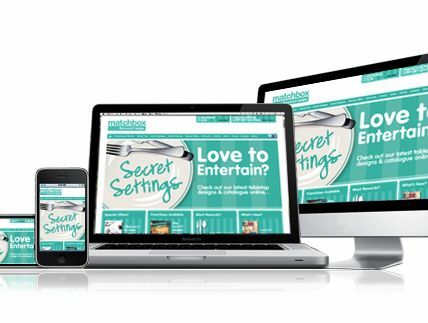 Our entry level websites suit all budgets. Best of all, we plan for you future growth. Therefore, improvements, new software tools and more advances solutions can be plugged in with ease. All of our websites are multi-browser and multi-device compatible. Looking for an online e-commerce store? See our ecommerce solutions here. While Websites forms one aspect of your digital ecosystem nothing online sits in a silo. &Mine's in-house team now delivers 159 services; Avoid costly mistakes and #WIN online. Read our expert articles, or lets talk - and you’ll get honest and direct answers right away.